Dr. Bruce W. Dearstyne is a historian in Albany, New York. 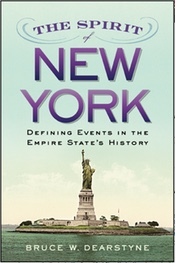 His most recent book is The Spirit of New York: Defining Events in the Empire State's History. The CIA has concluded that the Russians interfered with the 2016 Presidential election, including hacking into and releasing e-mails from the Clinton campaign, to help Donald Trump. That may have determined the outcome of the election. President Obama has approved measures to retaliate for Russian meddling including the expulsion of Russian diplomats. 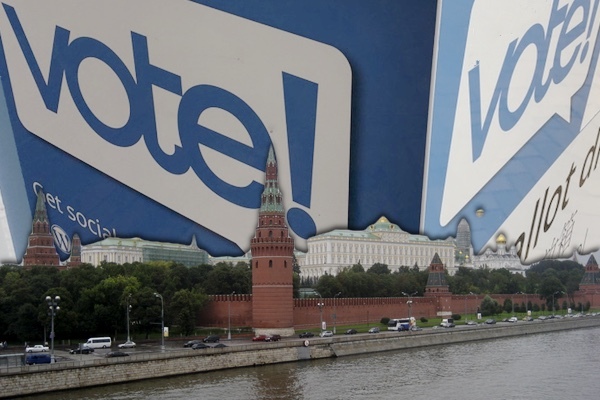 Once before, in 1960, the Russians tried – secretly and without success – to intervene in a presidential contest. They attempted to persuade Adlai Stevenson, the Democratic presidential nominee in 1952 and 1956, to run again and offered to support him. Soviet ambassador Mikhail A. Menshikov invited Stevenson to the Russian embassy on January 16, 1960 to thank him for helping arrange a visit to the U.S. by Soviet premier Nikita Khrushchev the previous year. The ambassador plied Stevenson with drinks, caviar, and fruit. Then he launched into an extraordinary monologue, telling Stevenson that the message he was about to deliver came directly from Khrushchev himself. "In Russia, we know well Mr. Stevenson and his views regarding disarmament, nuclear testing, peaceful coexistence, and the conditions of a peaceful world," said Menshikov. "When we compare all the possible [presidential] candidates in the United States, we feel that Mr. Stevenson is best for mutual understanding and progress toward peace.... We believe that Mr. Stevenson is more of a realist than others and is likely to understand Soviet anxieties and purposes." "Because we know the ideas of Mr. Stevenson, we in our hearts all favor him," said the ambassador. "We don't know how we can help to make relations better and help those to succeed in political life who wish for better relations," he continued. "Could the Soviet press assist Mr. Stevenson's personal success? How should press praise him and if so, for what?" Or should it criticize him, in the hopes that would get him support at home? Are there other ways that "we could be of assistance to those forces in the United States which favor friendly relations?" The Russians were open to suggestions. Stevenson "will know best what would help him," Menshikov said. The ambassador went on to make clear that the Russians saw Vice President Nixon, the likely Republican nominee, as being hostile to their interests. He told the ambassador bluntly that he did not expect to be a candidate in 1960 but that the offer of assistance was "highly improper, indiscreet, and dangerous." He went on to express "grave misgivings about the propriety or wisdom of any interference, direct or indirect, in the American election." Stevenson wrote out his account of the meeting right after it happened, but he filed it away and did not disclose the Russian offer. It was revealed by his biographer and former aide, John Bartlow Martin, in his 1977 book Adlai Stevenson and the World, and has been documented in other Stevenson biographies, including Porter McKeever's Adlai Stevenson: His Life and Legacy (1989). A few days after the meeting, Stevenson wrote a letter to Menshikov, indicating he would not be a candidate in 1960 but that if he were running, he would decline any help from the Russians. He closed with an expression of the hope that the future "will see ever closer and improving relations between our great countries." Stevenson wanted to discourage any additional Russian meddling, He confided in New York Times Washington bureau chief James Reston, who wrote a general article on January 24 saying that the Russians were showing "both a keen interest in the United States election and appalling ignorance of the dangers in commenting on it." Reston added that "even the Soviet Ambassador here, Mikhail Menshikov, has been talking freely about his opinions of the candidates and leaving no doubt among his hearers about how the Soviet Union would like to see the election turn out in November." Reston did not disclose Menshikov's preference or say anything about the meeting Stevenson had revealed to him. But he did warn that Americans would not tolerate foreign interference in their elections. The last time an ambassador expressed a preference for a candidate, the British ambassador back in 1888, the president quickly kicked him out of the country (an episode described in a September 4, 2016 post here on the History News Network). Reston's subtle warning may have deterred the Russians from further interference in the 1960 election. Stevenson did not run for president in 1960. John F. Kennedy was nominated by the Democrats and narrowly defeated Republican Richard Nixon. Stevenson served as U.S. Ambassador to the United Nations from 1961 to 1965. The hopes he had expressed in his letter to Menshikov for better relations between the two nations were not fulfilled. The Cold War between the USSR and the US continued to be intense. Stevenson wound up opposing and criticizing the Russians often at the UN, particularly during the Cuban missile crisis in the fall of 1962, when he accused them of duplicity and provocation leading to the brink of war. If the Russians did meddle any further in the 1960 presidential contest, or in any subsquent presidential election prior to the 2016 campaign, it has not become public knowledge. This year, though, the press had already widely reported evidence of Russian hacking of Democratic campaign material to advantage Donald Trump. President Obama has promised to release the CIA report before leaving office and Congress will also investigate. That seems likely to provide additional concrete evidence of interference and manipulation. If that happens, Americans should be appalled. But by then it may be too late to make any real difference.